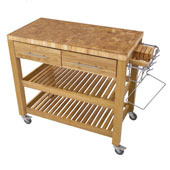 Chris & Chris kitchen carts are designed by professional chefs to provide aesthetically pleasing and durable workstations for every kitchen. 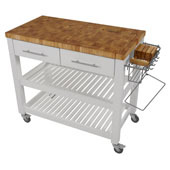 Constructed of rubberwood with zinc-plated steel frames, the carts are built for storage and performance. 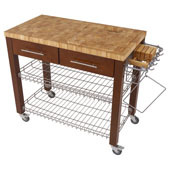 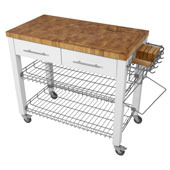 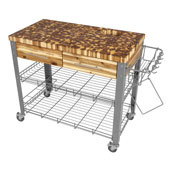 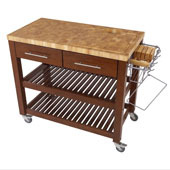 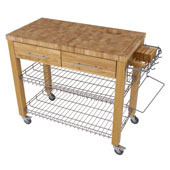 Created with food preparation and storage in mind, the kitchen carts have granite or end-grain tops and chrome wire shelves, speed racks, baskets, or wine racks for added functionality. 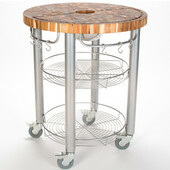 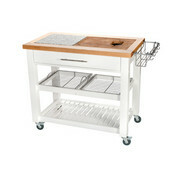 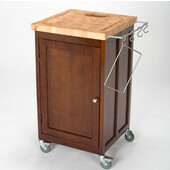 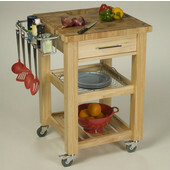 All of the kitchen carts include the “Chop and Drop” system for sanitary food handling and easy cleanup. 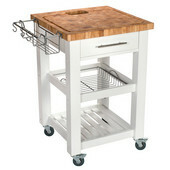 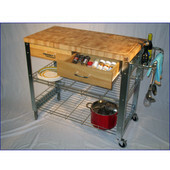 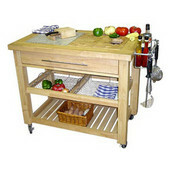 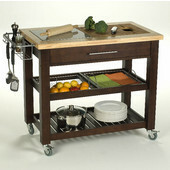 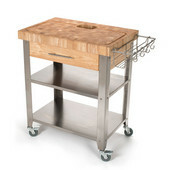 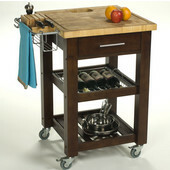 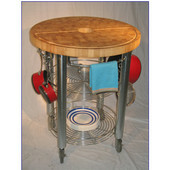 The kitchen carts also come with a metal towel bar and 4 “S” hooks to hang kitchen tools.